Katie Puckrik Smells: Beauty Bloggers Charity Auction Final Hours! Beauty Bloggers Charity Auction Final Hours! The second annual BeautyBloggers.org charity auction is wrapping up today, Monday December 12th at 5pm CST, so now is not the time to shilly-shally if you expect to snag some of the primo goodies on offer. Katie Puckrik Smells' contribution is Guerlain Shalimar's Oiseau de Paradis limited edition eau de parfum. 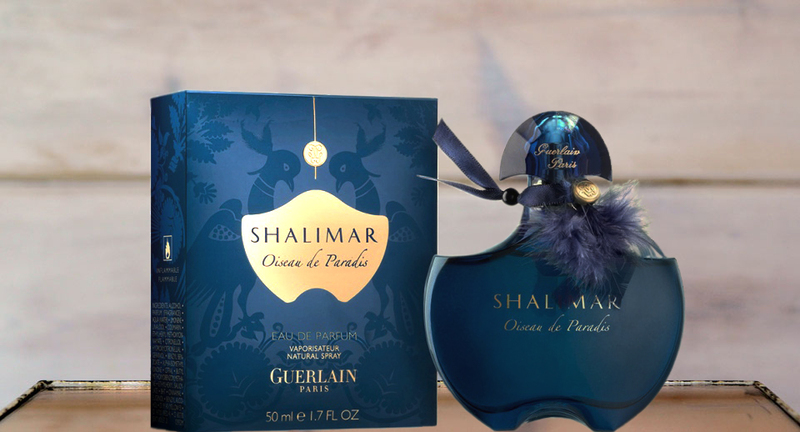 The winning bidder will end up with classic Shalimar presented in a rare bottle (seen above) -- with their entire donation going straight to Doctors Without Borders. The Beauty Bloggers charity auction actually exceeded the total amount raised in last year's auction in the first day, and it's no wonder, because there's enough fancy makeup, perfume and special events to...okay, “choke a horse” isn't really the right expression, although I wouldn't recommend allowing small ponies to wander loose among this cornucopia of high-end maquillage and body-burnishing elixirs. You're bidding against this guy for hair product. Christian Dior Dune, a new, sealed pre-formulation bottle. Beaute Cosmetics Lipgloss wardrobe, 12 of the best lipglosses you'll ever own. Guerlain L'Heure Bleue edp, the bittersweet classic redolent of the magic hour. Chanel Poudre Precieuse Or, a truly heavenly loose highlighting powder. Strange Invisible Perfumes Tour d'Ivoire, a wildcrafted tropical symphony of plumeria and herbaceous notes. The Neiman Marcus experience. You DO realize there's a $500 Neiman Marcus gift card in there, right? Dig: the cost of shipping is our donation to you, and best of all, every dime you spend goes to Doctors Without Borders. So bid! Tell your friends! Tell strangers in the grocery store! Be like Barbra in Funny Girl and belt it out from the prow of a tugboat! 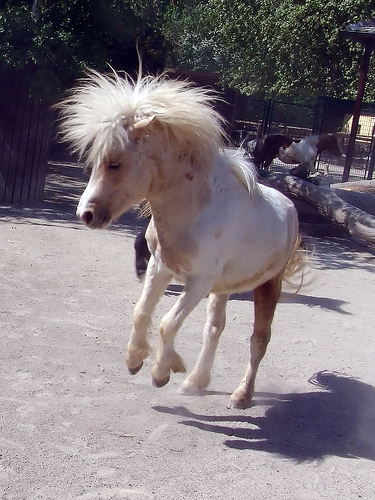 I think the name of that horse is Shilly-Shally. I didn't know Guerlain's flanker to the inimitable 1912 classic is already out, a few months short of its centenary?? Is the Guerlain a typo? Or is there something going on here? It was my dopey typo, Kym - although it linked correctly to the proper perfume. Sorry about that. All's forgiven. I'm sure that whoever won the bid is very happy. Thank you for your generosity, Katie! Congratulations, Julie, on making the winning bid for this perfume! I'm popping it in the mail later today, and you will probably receive it after Christmas.